Larry Hurtado: Were the Gnostics the Elite Intellects They Have Been Portrayed to Be? One of the blogs I like to follow is Larry Hurtado’s. He is retired professor of New Testament and Christian Origins at Univ of Edinburgh. Twice weekly he writes a stimulating blog on all things pertaining to early Christianity. A recent post by him questioned whether the Gnostics were the elite intellectuals they have often been portrayed to be. I include a link here for those who may be interested. 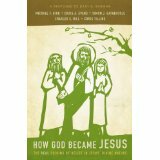 February 23, 2014 4:18 pm / 7 Comments on How Did Jesus Become God? This fall one of the two sessions we will sponsor seeks to address the question: “How Did Jesus Become God?” Bart Ehrman has written a book on the topic and it will be published in March 2014 by HarperCollins. Here is the full title: How Jesus Became God: The Exaltation of a Jewish Preacher from Galilee. Ehrman has agreed to let us offer a session in review of his book. We are in the process of putting together the panelists for the review session. Ehrman will give a response to his reviewers. I haven’t seen the book yet. I am still waiting for my advance copy. Ironically, a daughter company of HarperCollins, Zondervan, commissioned a book in response which is scheduled to be published this spring as well. Michael Bird pulled together a group of contributors to “answer” Ehrman’s historical reconstruction. Other than himself these include Simon Gathercole, Chris Tilling, Craig Evans, and Charles Hill. 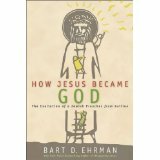 Zondervan will release the book this March as well under the title: How God Became Jesus: The Real Origins of Belief in Jesus’ Divine Nature—A Response to Bart Ehrman. Apparently HarperCollins shared the electronic manuscript of Ehrman’s book with Zondervan in order to provide—what can only be described as—a timely response. I’d be interested in how all of this happened. If you compare the front covers of each book, you can see how similar they are. Needless to say this promises to be a great conversation over an important and controversial topic. If you are planning on being at SBL in San Diego in November 2014, be sure to look up our group and join us for the dialogue. 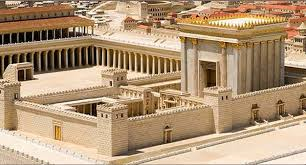 February 14, 2014 10:40 pm / 11 Comments on Did Jesus Offer Sacrifices at the Temple? Now here is how we translated the passage in The Voice. “22 then you know to take off your former way of life, your crumpled old self—that dark blot of a soul corrupted by deceitful desire and lust— 23 to take a fresh breath and to let God renew your attitude and spirit. 24 Then you are ready to put on your new self, modeled after the very likeness of God: truthful, righteous, and holy. You may notice words in both regular font and italic font. The regular font is more of a straight line translation from the original Greek. The italic is “explanatory paraphrase;” this expresses the idea of the Greek because often it takes more than one word in English to express the nuance and artistry of the original language. Eventually HB and ML kicked the question to me and here is what I said to them late Saturday night. You are correct that Paul uses aorist infinitives for “putting off” (the old) and” putting on” (the new). In between however, he employs a present infinitive to describe ongoing renewal by the Spirit which is to typify the Christian life. There are times when the aorist points to a one-time event (punctilliar) and times when it is undefined. After all Greek only has a few tenses to draw from. and it is probably unwise to pound the pulpit every time you see an aorist. On this occasion, however, I think the punctilliar is warranted because most scholars are convinced that Paul is making use of baptismal language when he talks about putting off and putting on. Since baptism was supposed to be a one-time act, these aorist forms are appropriate. Christian baptism–widely understood as initiation into the Christian life–was seen as the decisive turning point when a person denied the old nature once and for all and took on (intentionally) the new nature. This language about Christian baptism was taken so literally in the first part of the second century AD that the baptismal candidates took off their old clothes, went down into the water naked, and came up from the water to put on a new set of clothes. That was one reason why the church needed women deacons, to superintend the baptism of women candidates. That said, however, I think Paul would also agree that we are to always be working out our baptismal vows. That means we are continually in the process of renewal, which means setting aside/repenting of the old and appropriating the newness of the Spirit. This is why we translated the passage in The Voice the way we did. 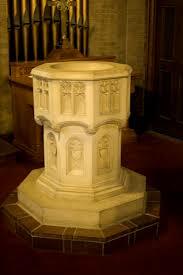 Perhaps you’ve gone to a church and noticed a water font at the entrance to the sanctuary. They are usually small and off to one side. The purpose of the font is to remind you of your baptism. You may see people dip their finger in the water and make the sign of the cross.